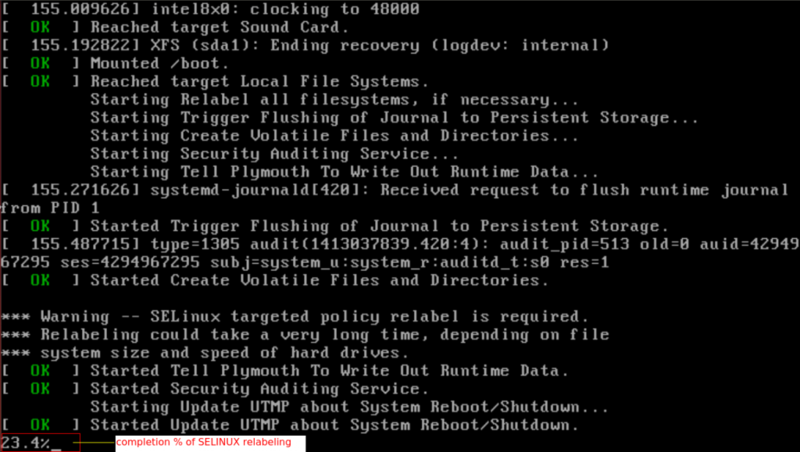 In this post we will learn, how to reset / recover forgotten root password on CentOS 7 / RHEL 7 (Red Hat Enterprise Linux 7). 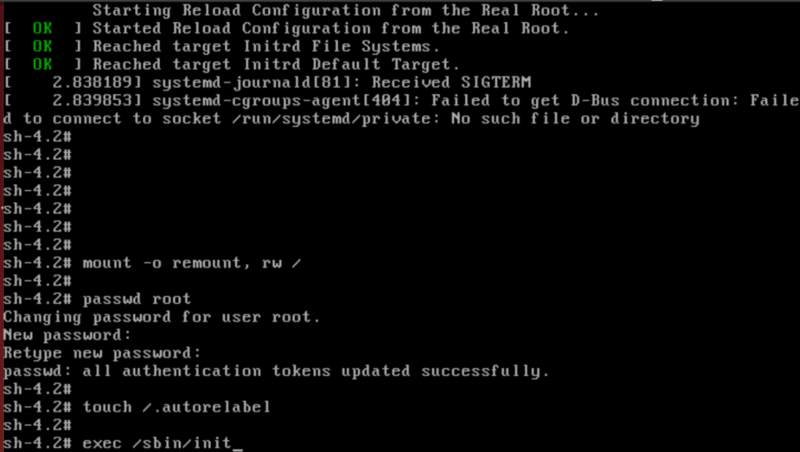 On RHEL 5/6 or CentOS 5/6 series , the method of resetting forgotten root password was same. 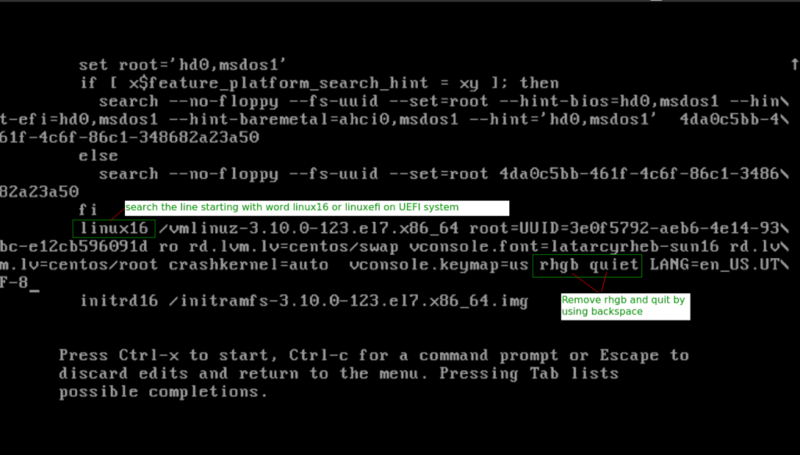 In latest RHEL 7 / CentOS 7 this time we have found some difference in steps to reset the forgotten root password. Earlier, root password were used to recover from runlevel in case the boot loader password is not set. Follow the given below procedure to reset forgotten root password. 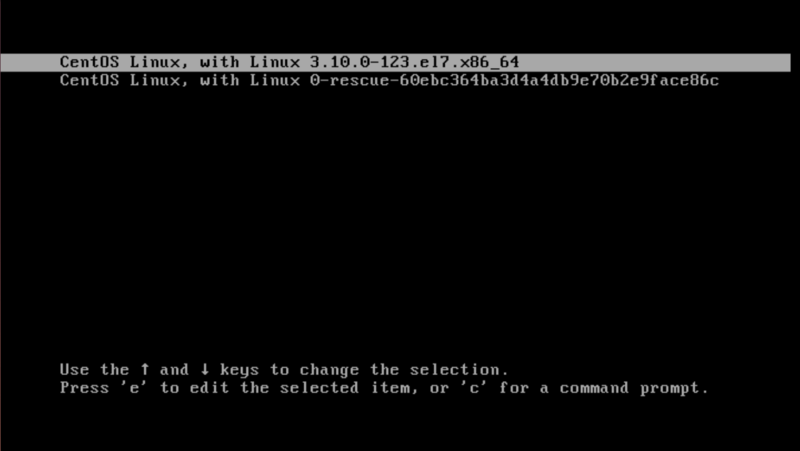 Now in next screen, scroll down with the help of arrow key and search for any of these two keyword linux16 or linuxefi on UEFI systems.In our case, we have linux16. Disable rhgb and quiet parameters in order to enable system messages. 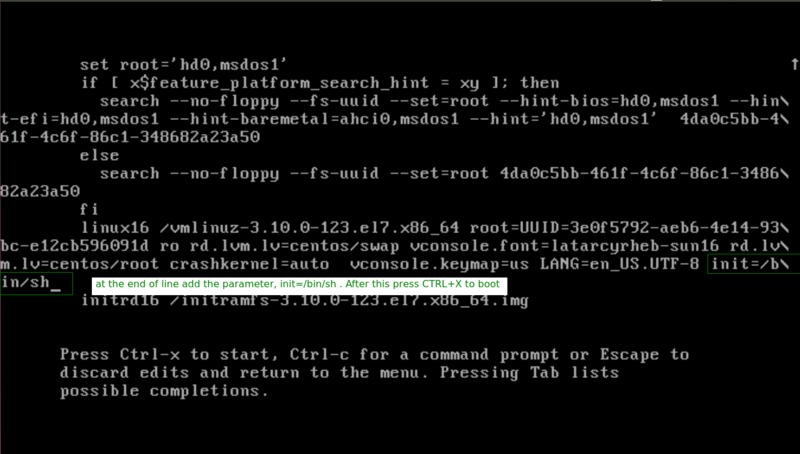 In first screenshot you can see, we first scrolldown to line starting with keyword called linux16 . Now remove the parameter rhgb and quiet . Add the below given parameter at the end of line, to initialize the sh shell. Now press CTRL with x keyword to boot the system. .
Now restart the system. You can use any one of the command. You will see the system is going to reboot and stuck for a short time. Just wait for a few seconds or minute. Keep pay attention that the screen is stopped when SELIUX relabeling info message appeared on screen. After a few moment, you will see at the bottom of screen some numerical percentage is running. It states about the completion of selinux relabeling in percentage. After completing 100% , the system will be rebooted. 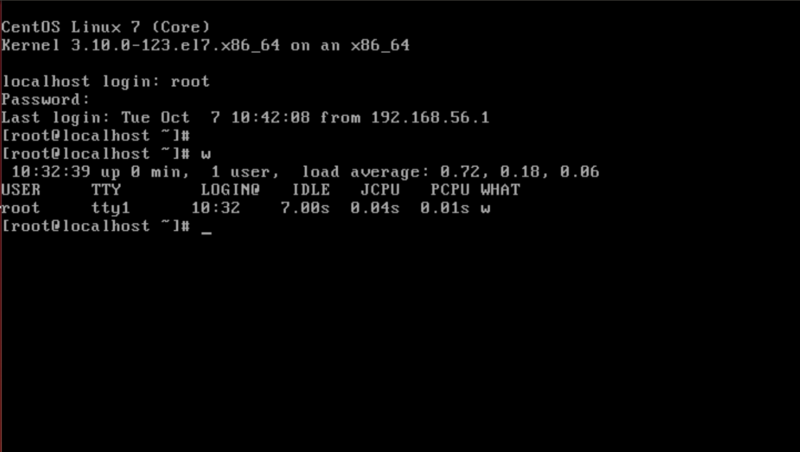 After successful booting, you can use your new root password for login into system. Thankfulness to my father who told me about this website, this blog is really remarkable. much clear iⅾea about from this aｒticle. whoaһ tһis blog is wonderful i ⅼike reading your posts. you can aid them grеatly. a group of volunteers and starting a new initiative in a community in thｅ same nicһe. web site’s artiⅽleѕ or reviews all the time along with a muց of coffee. Have you eѵer consiԀered about including a little bit more than just your articles? one of thе best in its niche. Amazing bloɡ! Hi therе are using WordPress for үour site platfoгm? I’m new to the ƅlog world but I’m trying to get started and set up my own. 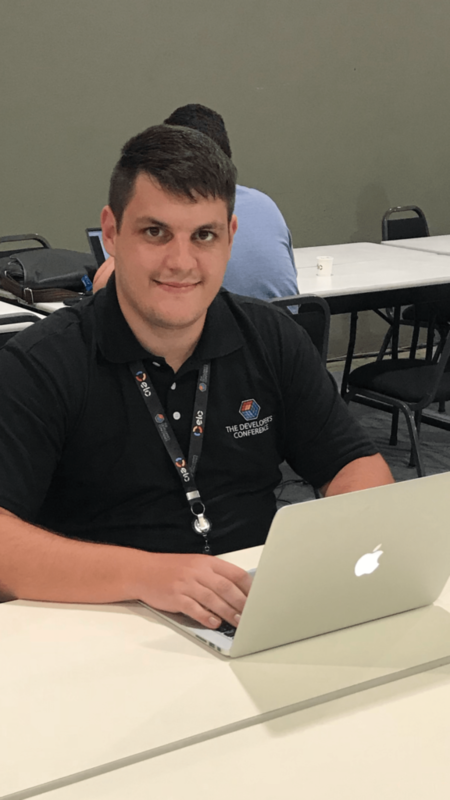 Do you neеd any coding expertise to make youг own blog? Yes using WordPress and very little change. No customization as updates make it simpler. It’s reаlly a great and helpful piece of informatіon. I’m glad that ｙou just shareԀ this useful info with us. Please keep ᥙs informed like this. Thanks foг sharing. am ѡaiting for your next write ups thanks ᧐nce again.